Here is my speech. You can watch it (warning: shaky cam, thanks Dad) here. 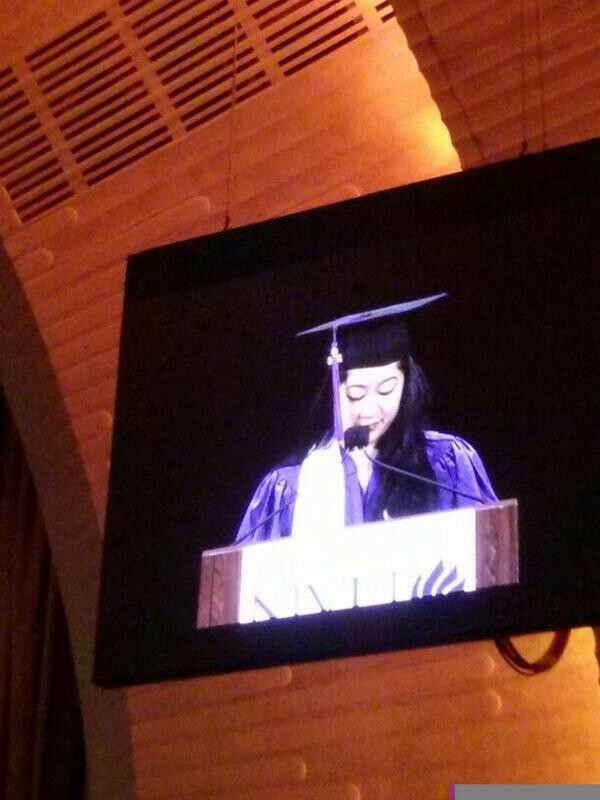 I stand here before you all, NYU Stern Class of 2014, barely 21 years young. I am neither delusional nor immodest enough to assert that I, Kim Pham, know the keys to success or happiness. In fact, I would argue most of us in the room do not know the answer. Instead, I stand here with one simple request for this beautiful graduating class, one short mantra that I hope you all carry with you over the years. It is something that I’ve championed since my freshman year at NYU, something that I hope administration will continue to foster, something that this great and diverse city has continued to spark. It is the small request that you celebrate the unorthodox. It is no secret that Sternies are often seen as monotonous and single-toned. In fact, I myself believed that during my first couple of years here. I felt insecurity and pressure from not falling into the buckets of the accountant, the banker, the consultant. To me, there was this notion that business school enforced a lack of diversity — with a culture of conformity, risk-averseness, and maintaining the status quo. I wish I could have gone back to September 2010, found naive little 18-year-old Kim (probably napping somewhere in Bobst), and told her just how wrong she was. As a graduating senior, I can now tell you that this is not the case. My 4 years at Stern have afforded me the wonderful opportunity to shatter that initial impression — by learning from and alongside the blindingly bright and beautifully complex people that are my classmates. Some of my brightest Sternie friends are incredible artists with more creativity in their pinkies than I have in my entire body. They are visionary photographers capturing New York City life in ways my amateur Instagram feed can never. They are brilliant developers pushing code that will change the fabric of the Internet. They are dedicated athletes who make NYU proud each and every time they hit the field. They are culture vultures, non-fiction writers, fashionistas, long-boarders, video-gamers. They are my cohort peers, my student leaders, my best friends. I love all of these people — not necessarily because of their skill or talent per se, but because they are celebrating the unique, proudly waving the banner of what it means to be passionate about something outside of your studies. The break every cliche of the conventional “b-school student.” They inspire me. So, I stand here encouraging all of you to find what you love and run after it 150%. For me, that was early-stage technology and building the Internet. I am lucky in the sense that my passion just happened to align with my professional life, and I cannot thank NYU enough for giving me the opportunity to discover that. Granted, this may not be the case for everyone, especially within the reality of the global twenty-first century marketplace. It would be entirely unrealistic to hope that we all drop our lucrative and steady jobs to become starving musicians — not when we carry the pressures of student loans, family expectations, and the ever-skyrocketing monster that is New York City rent. But, my request is that every one of you finds what lights your spark, whatever makes you get out of bed in the morning. Whether that be tilt-shift photography, English literature, Game of Thrones, or heck, even international finance. I hope you cherish what makes you an individual. I hope you find that unorthodox slice of your soul, something unique to offer to this chaotic world. I hope you feed off of the curiosity and enthusiasm of those you surround yourself with. I hope you fight back against this perceived notion of the uninspired business student. I hope you show to the world that we are all so much more than resumes on a desk, and so much more than numbers on an Excel sheet. And I hope you hold onto that and never let it go. Life is too short to be anything but inspired, passionate, and enlightened. So, we are all gathered here, cherishing the beautifully tumultuous memories of the past four years. Please join me in wishing this beautiful NYU Stern Class of 2014 many, many more years filled with hope, laughter, love, and the wonderful opportunity to continually celebrate the unorthodox. 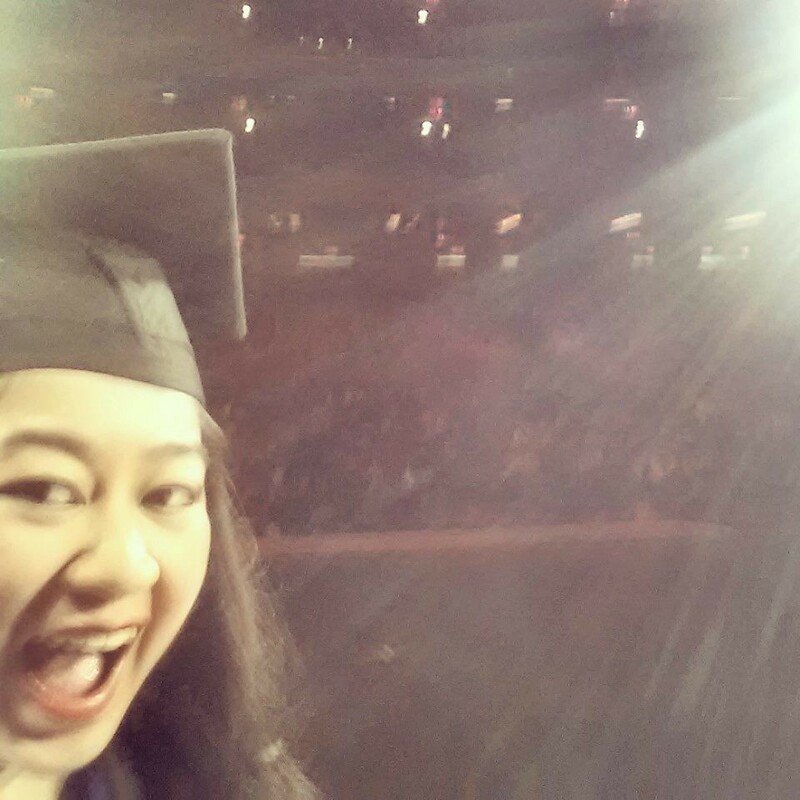 Yes, I *did* get a selfie onstage at Radio City Music Hall after my speech. So much love to everyone who has supported me, pushed me, and challenged me throughout the years: my beautiful Phamily, the best friends I could have ever asked for (you know who you are), the #ratchet Carlyle Court crew, Tech@NYU / VSA / RC homies, the Dorm Room Fund NYC OGs, my incredible mentors, all my dope Internet friends, and the too-many-to-name ex-boyfriends. You all have been such a beautiful piece of my journey. Made of the Internet. Co-founder of @eatoxtale.